Tachimori Ashita inherited the Tachimori Mansion when his parents died in an accident. Originally owned by his great grandfather, the estate has been traditionally an inn that had many people living in it but, as of lately, it has become vacant due to Ashita losing his parents. 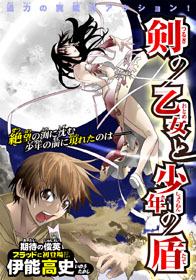 As Ashita tries to revive the mansion in remembrance of his parents, he is surprised by a young girl looking vampire named Noi and her servant Sesera who claims to own the place. According to Noi, she lent the mansion to Ashita’s great grandfather in return for maintaining the building until Noi returns. As a vampire, Noi has super strength, the ability to turn into mist and can cast various spells. She has a powerful dark aura that attracts evil spirits and, because of that, Noi has had to constantly be on the move. But because of that, she has been abandoned by her family and friends. 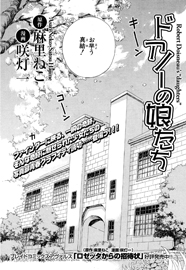 Ashita decides to let Noi and Sesera stay and is determined to start a new chapter in the Tachimori Mansion history. 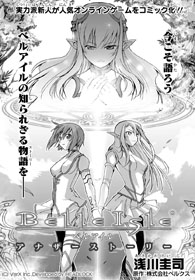 This manga is associated with the Belle Isle online game. A thousand years ago, the homeland of humanity was invaded by "Demonica" from hell. Humanity lost the battle against these creatures and were forced to flee to a floating continent known as Belle Isle. Now, the human kingdom has gained new power and is planning to launch an offense to take back their homeland. In a fantasy landscape full of dangerous magical creatures, three adventurers find themselves entangled in a quest to rescue Rose, a girl from a village. The first of the adventurers is the warrior Sedo, who makes up in enthusiasm what he lacks in skill. Despite her protests that she's already on an important quest, the pretty and competent elven archer Okiron gets dragged along in Sedo's enthusiasm. 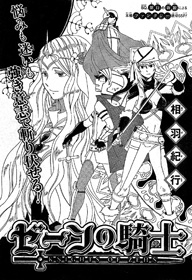 The last member of this group is the cowardly, furtive sorceress, Yuri. Will they be able to rescue Rose, or is her kidnapping more complicated than they had thought? Asleep next to her boyfriend, Satoko has a precognitive dream of him leaving her for a girl at work. Satoko, worried about her relationship, soon sees different visions while awake, each time an action or conversation changes their future. Will Satoko be able to understand these glimpses of the future well enough to keep from losing the man she loves? Teenager Himeno, who was abandoned by her parents as an infant, recently lost her grandmother, the only remaining family she had. As she has nowhere else to go, she is taken in by the local temple run by four brothers who also lost their parents in an accident. 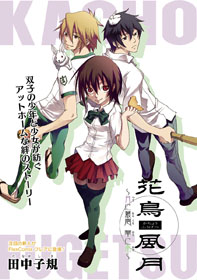 The youngest of the siblings, Fuuzou and Tsukuya, are twins and are also her classmates. As her guardians and siblings, the brothers try to make her feel welcome but Himeno has a hard outer shell. But little by little, the new people in her life chip away her walls and teach her about the importance of family and relying on them. In the land of Elphida, the Knights of the Zehn are warriors who are admired, fight for the people, and protect the queen. Pelna is a bounty hunter and the daughter of the late Acheron Kaldios, the former commander of the Knights of Zehn. Seven years ago, during a victory parade, he was assassinated when he walked toward the young Pelna. She blames herself for her father’s death and gave up on her dream of becoming one of the knights. Pelna learns about the recruitment for the Knights of Zehn and is dragged there by a teenage boy named Levon. As the two see hundreds of applicants, Pelna and Levon learn that the first test is to deliver a book to the Alef Lakun castle. By coincidence, the book falls into their hands and with hundreds of ambitious people after the book, they must safely make their way towards the castle. Five friends who work in the manga business live and work together in an area that they've allowed to become filthy although they're about to be invaded by the housekeeper Odagiri Sato! Sato is completely unlike an otaku maid fantasy; she's a rough, intimidating woman who smokes. Will the formidable Sato be able to put their messy lives back in order? Takasugi Kessaku is all about academics and has no hobbies or anything resembling a social life. His younger brother Ryosaku, on the other hand, is the polar opposite. He causes trouble and is annoyed by how uptight his brother can be. 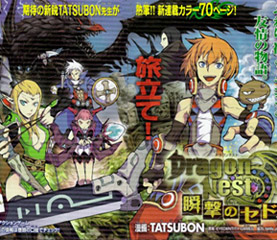 Kessaku learns about a new game that grants the player wishes but rumors fly around about people who collapse after playing the game. To prove to Ryosaku that he's not indeed as uptight as he thinks, Kessaku starts playing the game only to discover he has summoned a demon that grants him a wish… in exchange for his soul! Hidaka Mayu's father used to say that cameras were magical tools that could capture miracles. Seeking her father's praise, she became deeply interested in photography. Due to her fascination with a prize-winning photograph in her middle school, she picked her high school in order to join a club with the winning photographer, Mizukami Tsukimi. However, the photography club appears to be a disappointment. The two club members, Tsukimi and Katsuragi Tamako, are very friendly, but they don't really seem to take photography very seriously. Will Mayu be able to cope with their laid-back attitude? Yatori Yu has gotten picked on at school and has given up on living. His sick mother passed away and even the last gift he received from her was destroyed by the bullies at school. Sick of life, he was about to commit suicide when he meets a person named Alfred who calls himself a “performer.” As a performer, you gain special powers to help humanity such as the ability to cure illnesses or fight crime in return for giving up your humanity. Alfred’s job is to recruit more performers and give regular humans powers. Just as Alfred is about to make Yu a performer, a women named Silvia with swords pierced through her body stops them. Silvia, also a performer, has been looking for a way to undo her choice and become a regular human again. She refuses to play her role as the “sword” and thus is being punished by the power of the swords. Silvia tells Yu the importance of making your own decisions, learning to live on his own feet and being brave. Yu has to make the decision of his lifetime. 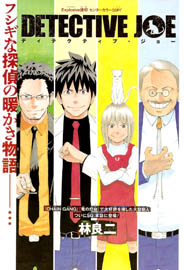 I enjoyed reading Hakuchuu Yamu. I'm not sure what to say that wouldn't ruin the story, but I really liked the way it concluded. Drifting Net Cafe also seemed like it could be very interesting. I only had the first chapter, but apparently the sci-fi mystery part starts right after that. Detective Joe - typical PI story with a little twist. The lessons in this story makes it pretty good though. Knights of Zehn - adventure story. would like to see how things turn out and story progresses. 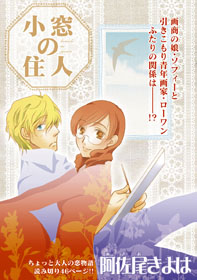 Kaichou...Kaze - shoujo storyline with a deep theme throughout the plot. great for people looking for emotions in the characters. Ashita no Familia - best series this week in my opinion. Noi's power looks really cool and I bet there will be lots of new interesting characters. The pick of the batch for me would definitely be Drifting Net Cafe. Looking it up, it appears that there's a huge mystery. 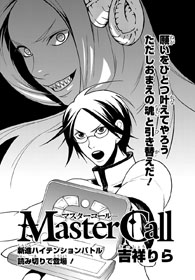 The others that appear somewhat interesting to me would be Master Call. It seems like it'd be a fun read. 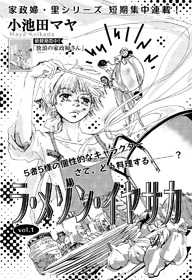 Tsurugi no Otome to Shounen no Tate might be interesting, but I fear it's a generic one-shot. 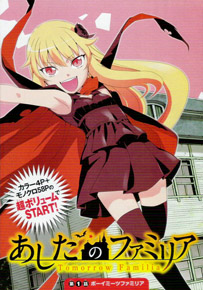 Ashita no Familia sounds like a more PG version of Dance in the Vampire Bund. 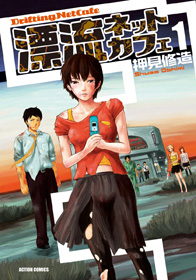 If you haven't done so already, check out the scanlations of the mangas from previous shout outs which have been recently scanlated: supernatural horror shoujo Vampire Princess Yui (MH link), supernatural tragedy one-shot Dr. Chanbelee (MH link). Rather...shouldn't you be able to ask for the raw from c_k himself? I mean, if the person who wrote the summaries can write the summary, then they should more or less know where to find the raw, commonly speaking...but yeah, otherwise, learn how to use the IRC. You can get a whole lots of things in there... .-. Copyright (c) 2007-2017 by MangaHelpers. All rights reserved. All times are GMT . The time now is 04:09.